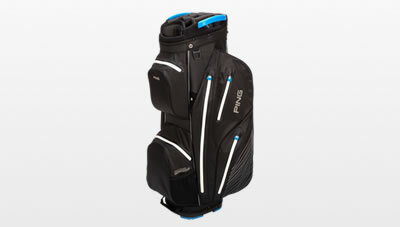 The Pioneer Monsoon bag’s seam-sealed waterproof construction protects your PING gear and clothing from the rain with eight seam-sealed pockets (12 pockets altogether), and two ventilated mesh slip pockets for airing damp items. 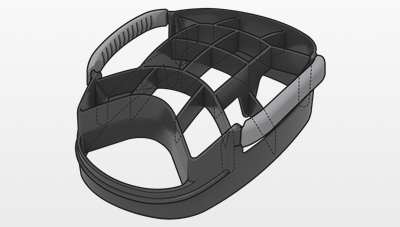 There’s a 15-way top with large dividers and a cart strap pass-thru channel. 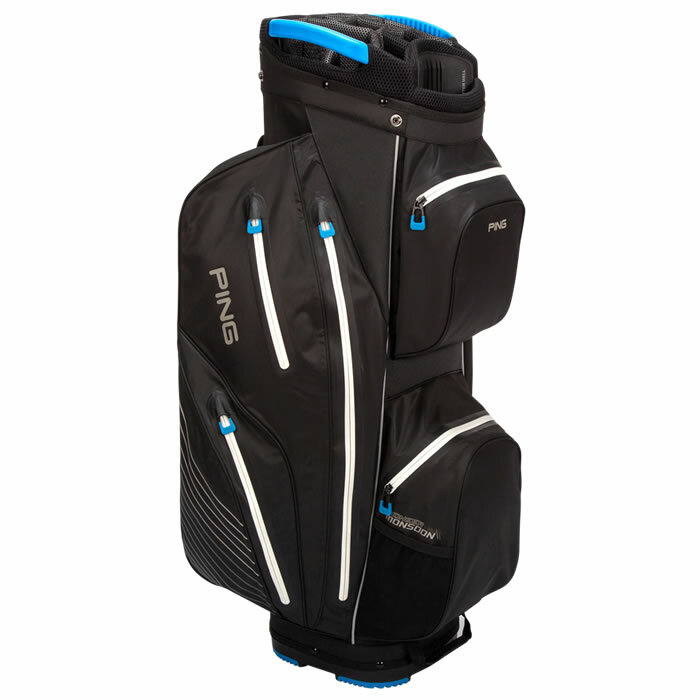 The 15-way top offers the ultimate protection for your PING clubs. 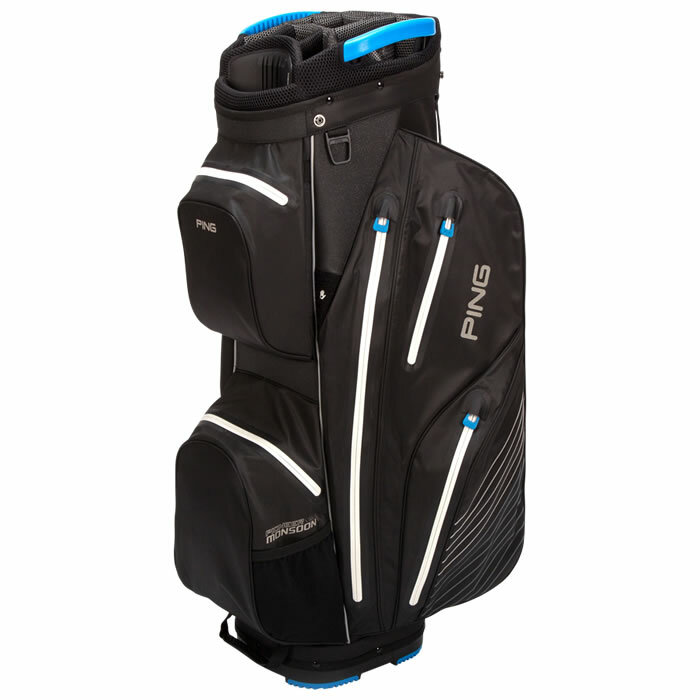 Integrated handles make transporting easy, and a rubberized putter well allows for oversize grips. 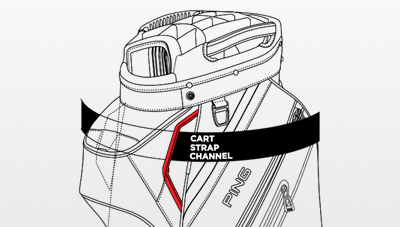 An innovative cart-strap pass-thru enables you to secure the Pioneer Moonsoon bag to a cart without blocking access to any of 12 pockets.